They all told you to be PRACTICAL. They pointed to the long road ahead. Tricky curves and forks and stops. 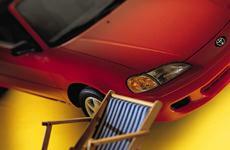 The 1997 Toyota Paseo Convertible. (Prefer life a little more streamlined?